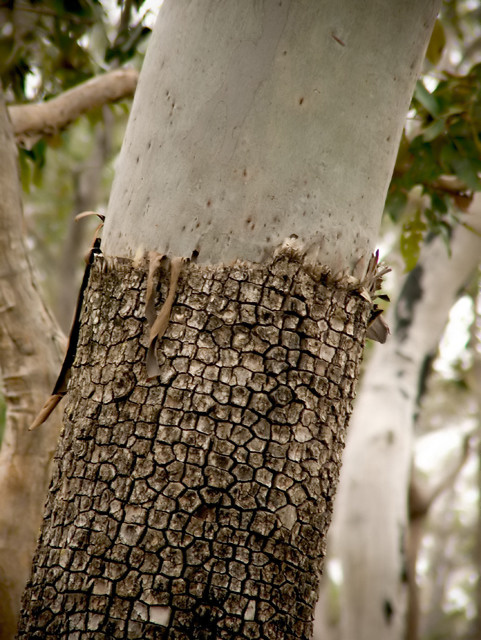 Gum tree shedding layer of bark. This picture definitely got a reaction from me! It looks like the tree is shedding dry skin....wonderful shot. Wonderful texture... could have done good macro with this. Proudly hosted by Sargasso Networks. Current Server Time: 04/20/2019 01:09:20 PM EDT.